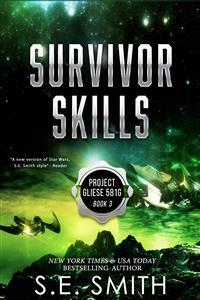 Summary: A member of the Project Gliese 581g wakes on an alien world and joins forces with a rebel fighter to locate other missing crew members. Sergi Lazaroff is a weapons expert and a member of the Russian FSB, also known as the Federal Security Service Bureau—a nice term for his true profession as a spy. Assigned to the Project Gliese 581g exploration team, his job was supposed to be simple—find out what was in space, retrieve the technology, and return home with it, if possible. When he wakes up on an alien planet, Sergi knows the last part of his mission will be impossible. Instead, he must use his military training and skills to survive in a world where he doesn’t know the rules. La’Rue Gant’s search for the mysterious occupant of the pod that landed on the assassins’ planet of Turbinta quickly turns into a game of predator versus prey. She found what she was looking for—and discovers that the ancient legends may be true when the tables are unexpectedly turned, and she becomes the hunted. What she doesn’t expect is the powerful reaction she has to this man from another world. When word reaches them that another member of the Gliese’s crew was found, Sergi and La’Rue embark on a mission to save that crew member at any cost. Caught in the middle of an alien civil war, two fighters from vastly different backgrounds must come together to fight for the survival of the Knights of the Gallant Order, even as the Legion forces close in around them. Can they slip through the traps set up to snare them, or will the Legion Director finally capture not one, but two of the prophesied ancient Knights of the Gallant Order? 928,081,020 km/6.2 Astronomical Units (AU) from Earth. “Two minutes,” Sergi Lazaroff confirmed into the microphone in his helmet, responding to the warning he had been given. He reached out and gripped the side of a long panel. While his spacesuit was bulky, he moved with ease in the zero gravity within the complex alien machine. He had attached a string of magnetic lights at regular intervals, and there were additional lights mounted to his helmet – but outside of their limited range, the interior was pitch black. Josh waited in the large gap created by whatever had struck the gateway, ready in case Sergi needed help. A feeling of awe still struck him when he allowed himself to think about the fact that he was inside an alien machine that had been abandoned who knew how long ago. The results of the carbon dating they’d done on the metal were inconsistent, much to the disgust of Mei and Julia. A smile curved his lips as he thought about Dr. Mei Li Hú’s frustrated determination to extrapolate a plausible history of the object. Of course she would be better off waiting to theorize until they’d gotten more information, but some people were just too impatient. Mei was one of the five crew members on this mission to investigate the unusual object discovered more than ten years ago by Dr. Harry Marksdale, a University of Arizona professor and amateur astronomer. Mei had ostensibly come to the mission at the behest of the Chinese space agency, and Sergi suspected the others were unaware of her secret objectives. Her private mission was similar enough to his own that it had been relatively easy to recognize. She was a spy for the Ministry of State Security, the Chinese equivalent of Russia’s Federal Security Service Bureau. Mei’s father, owner of one of China’s largest technology manufacturing and research companies, had been a major contributor to Project Gliese 581g, which had made it easy for Mei to become a crew member of the mission. Mei was one of two Mission Specialists aboard the spaceship. Her background in computer science, biology, and environmental systems was an invaluable asset to the expedition. The other three members of the crew were Americans. Lieutenant Commander Joshua Manson was a career Navy man. He commanded the Gliese 581g mission with military precision and attention to detail. Along with Lieutenant Commander Ashton ‘Ash’ Haze, the pilot for this operation, he had been brought on after a helicopter accident killed the first crew chosen for this highly classified international suicide mission. The last member of the team was the only member without any military training. Dr. Julia Marksdale, Harry Marksdale’s daughter, was there purely for her scientific expertise. Julia was in charge of navigation, medical, and contact support. The project had been the brainchild of Harry and Julia. Sadly, Harry, along with the initial and backup teams, had been killed while returning to Houston. Sergi suspected the fatal mechanical failures of the helicopters had been contrived to ensure that he and Mei were added to the new list of recruits. Unfortunately, there had not been enough time to find out whether it had been his government’s doing or that of Mei’s. His specialty was in mechanical engineering, payload, and weaponry. Sergi’s mission was straightforward: find out what was out in space, retrieve as much data as he could, and return home alive to share it with his handlers. Unfortunately, there was no way to transmit the data without everyone involved with the Gliese 581g mission realizing that he was a spy. The only way to pass on the information covertly was to make it back home in one piece and do so personally. Of course, this mission came with greater risks than any other he had been assigned before. After all, if things went south, there was no one to extricate him – not that anyone would have come for him on any of his other missions either. “Sergi, you need to monitor your oxygen level. You are down to eighty percent while Josh is still at eighty-nine,” Mei quietly said. “Are you worrying about me, Mei?” he quipped. The sound of an inelegant snort whooshed in his ear. “Dead people tend to soil themselves. I don’t want you to ruin a perfectly good spacesuit because you hooked up the hoses incorrectly,” she retorted. “That is downright disgusting, Mei,” Ash dryly added his opinion. “I don’t think I like where this is going,” Ash piped in. Sergi shook his head inside the helmet. He didn’t know if it was the growing familiarity with the two women during the voyage or if he was getting soft, but both of them amused the hell out of him. If he stopped to think about it, the lighthearted affection and protective instincts he had toward the two women were actually brand-new experiences in his life. While his relationship, if he could even call it that, with Mei had always been like two tigers circling each other looking for a weak point, what he had with Julia was different. She was a quiet, intelligent, yet strangely innocent and naïve, scientist, and he sometimes silently compared her to a delicate flower so rare that he’d thought it extinct – because she was genuine, and she was compassionate, and she was single-handedly giving him hope that there might be more like her somewhere in the world. Josh and Ash were good men to have with you in a storm. He admired Josh’s attention to detail and his ability to process information quickly and piece it together to form a larger picture. Ash, on the other hand, had a quick wit, easy smile, and impressive piloting skills. As he listened to his team’s chatter, Sergi turned the cameras embedded in his helmet and suit toward the circuit in front of him, making sure they would record his every movement. The ‘unusual object’ appeared to be an alien gateway of some sort, and inside the mechanism was a treasure trove of technology unlike anything he had ever seen before. He wanted as much documentation of it as he could get. After over eighteen months in space on an experimental spaceship, he was still trying to wrap his head around the fact that they had proof that humans were not alone in the universe – or at least that they hadn’t been at one time. He refitted the fourth of five panels he had repaired, and pushed off, floating nearly a half meter before he twisted and grabbed a bar to stop his upward momentum. He joked with Mei as he turned the cameras toward the damaged circuit in front of him. From the pouch attached to his utility belt, he pulled out the last circuit board he had reverse-engineered from the damaged alien boards. He hoped the components were a close enough match to work. When he had applied minimal power to it, the board had lit up the entire workroom. Mei murmured that he was now down to sixty-nine percent, so he had better stop giving all the oxygen to his… head. Sergei smirked, imagining the pointed look she would be giving him if they were in the same room. He chuckled when he heard Julia’s voice falter in confusion. Julia was extremely smart, but sometimes suggestive jokes went right over her head. There was a pause as Julia switched mental gears, and he chuckled when she groaned. “Well, damn. I missed the real meaning of the conversation again,” she muttered. “That’s okay, Julia. It’s just all that heavy breathing that gets to Mei,” Sergi teased. As if on cue, he heard Mei’s exasperated hiss. “I believe your brain is definitely suffering from hypoxia, Sergi. I know men like to let their balls breathe, but really!” Mei retorted. The sounds of Julia, Josh, and Ash’s muffled laughter made him grin. He knew which buttons to push to get a predictable reaction out of his impossibly easy to ruffle counterpart. His smile faded as the depth of his deception hit him. This small group had become more than comrades on a mission to do the impossible – they had become a family. “Sergi, how much longer do you need?” Josh asked from near the entrance, breaking into his train of thought. “This should complete the final connection. Whether these things have a built-in power supply that is still working is another matter. I’ve gone through this one, and it looks like it’s linked to the one before it and the next one, but I never found an actual power source,” Sergi replied, inserting the circuit board into the empty slot. “We’ll deal with that when we get to it,” Josh instructed. “Roger that,” Sergi replied, carefully adjusting the panel and feeling it click into place. He pulled himself to the side. All the damaged panels that he could see had been repaired. Whether Earth materials and alien technology were compatible was another question, but the preliminary testing in the lab had shown a closed circuit. There was one more thing to do and that was to reconnect the line cable that he had noticed as he was entering. He wasn’t sure how he had missed it during his space walks. He turned slightly and in the glow of the lights they’d brought he could see Josh watching him intently. Returning his focus to the cable, he pulled the end around and aligned it with the port. He blinked when a flash of red light illuminated the interior of the gateway. “What the…?! Sergi, we need to get out of here,” Josh warned. “Just a minute,” Sergi responded. He twisted and pulled his body upward to a long bar where he had strapped one of his tool bags. His fingers fumbled with the clip when the gateway shuddered, then roughly vibrated. A soft curse escaped him when his thickly gloved hands slipped off the clip. “Leave them. We need to get out of here now,” Josh ordered. Sergi felt Josh tug on his foot. At the same time, he realized that the bag of tools, along with himself and Josh, were beginning to move. It took him a moment to comprehend that it was the walls that were beginning to spin, not them. He twisted and nodded to Josh. With a wave of his hand, he motioned for Josh to go through the opening first since he was closer. Reaching down, he used the railing to follow Josh down to the gap in the outer wall. Josh braced his feet on a long crossbar and kicked off. A moment later, Sergi did the same and followed Josh through the gaping hole in the side of the gateway. His hand moved to unhook his tether to the mechanism. His hand stilled when he looked down the long line of circular gates and saw the other sections lighting up. He reached out and grabbed Josh’s arm. “Josh, look!” Sergi exclaimed, lifting his arm toward the lights. He heard the alarmed communications of his team, but he was more focused on what could only be described as a miracle. Each of the six gateways was coming online. The long rows of cables connecting them began to glow. Sergi watched in fascination as each gate slowly began to spin – and open. It took a moment to register in his brain that Josh was urgently ordering him to use his jet pack. When it did, he realized that they were in extreme danger. “Hurry up, Sergi. We need to get back to the Gliese,” Josh said. Struggling to unhook the tether, he grunted when the clasp refused to release. “I won’t argue with you on that,” Sergi muttered before he heard Josh’s repeated urgent warning in his headset. Sergi released a long string of curses in his native Russian when he was jerked backwards away from Josh. His fingers slipped from the clasp as he spun violently. Fighting to twist around so he could grab the tether, he clenched his jaw when the line was jerked out of his hand. “I can’t get the tether undone,” Sergi growled in frustration. He looked in the direction he had last seen Josh. The other man was leaning forward, his determined expression visible behind the glass of his helmet. “Hold on, I’m coming,” Josh replied. Sergi released a nervous chuckle. “I don’t think I’ll be going anywhere. Though, I would appreciate it if you could hurry,” he reflected, seeing the other gateways beginning to spin even more rapidly. Sergi’s breath caught in his throat when Josh struggled to grab him and missed. The tension on the tether was increasing and he knew he was seconds away from death. If Josh didn’t leave him, they would both be dead, and the mission would be in dire jeopardy. He reached out and gripped Josh’s shoulders when the other man was finally able to grab him. Ash’s tense warning sounded in their headphones. “Josh, you need to get a move on,” Ash stated. Sergi shook his head. He kept his gaze on Josh as they both rotated at an increasingly dizzying speed. “Josh… Commander, leave me,” Sergi ordered in a quiet tone. Josh ignored him and continued to work on the metal clasp. Sergi gritted his teeth and prepared to forcibly push Josh away when the tether finally broke free. Josh cursed before he warned Sergei to ‘Brace for impact’. Sergi grunted when his back hit the spinning ring of the gateway, and his momentum sent him spiraling toward the glowing cable. For a moment he wondered if being crushed to death or electrocuted would be better. Unable to stop his trajectory, all he could do was hope that a second miracle would occur, and he would just be cast out into space. He knew his luck had run out the moment he connected with the cable. The powerful surge of electricity flashed through his suit. For a brief second, he stiffened and thought his heart would explode, but it just stuttered and stopped. A brilliant flash of white light shot through his mind. He wondered if he had been given a glimpse of heaven to add to his misery. Sergi wasn’t a religious man, but if there really were only two afterlife options – heaven or hell – he could see why a supreme being might give him a glimpse of what he could never have. It would make his eternity in hell all the more bitter. That was his last thought before his mind shut down. The alarms pulled Sergi back to consciousness, and he was suddenly aware of a steady downpour, making the world outside the pod look distorted and dismal. He looked at the digital readings. Oxygen was dangerously low. The system was showing a leak in one of the tanks. He lifted his head, and noticed the small portable tank with a mask attached. He read the oxygen level. He had less than five percent in the capsule and thirty percent on the portable tank. He laid his head back and stared through the glass covering. At least the capsule didn’t completely feel like a casket – if only for the moment. Above him, Sergi could see the remains of the parachute that would have deployed once the capsule broke through the atmosphere. It was tangled in a large tree. Four things registered in his brain. First, he hurt like hell, so that confirmed he was alive. Second, he was no longer on the Gliese 581. Third, wherever in the hell he had landed, there had to be some type of atmosphere if there was rain and trees – preferably the kind that wouldn’t melt the flesh off of his bones. The last was the one that concerned him the most. He wondered if any of the others had made it out alive. Sergi grabbed the mask, held it up to his face, and slammed his palm against the emergency release lever. Nothing happened. “Open, dammit,” Sergi ordered in Russian, violently working the lever again. “Warning, current oxygen levels are critical. The system diagnostic has detected a leak in the main oxygen tank. Please replace the tank,” the computer voice stated. “You think I don’t know that my oxygen is almost depleted? If you would open this casket, I would gladly remove myself,” Sergi growled in profanity-laced Russian. He clenched his jaw in determination. Grabbing the release handle, he pulled on it again. This time, the very noticeable click of the lock releasing swept through the interior of the pod. With his free hand, he pushed against the hatch until he had enough room to sit up. He shivered in the icy rain as he cautiously looked around. At least the parachute gave him a small measure of protection from the downpour. Barren trees surrounded him. The area was desolate: there was no life – and no other escape pods to be seen. He slowly pulled the mask away from his face, and gingerly took a deep breath. A slight cough escaped him as the swirling mist swept through his nose and down his throat. The air felt heavy, but he could breathe. He dropped the mask to the side. His gloved hands gripped the side of the capsule and he rolled over the edge. A silent curse filtered through his brain when his booted feet sank into the dark gray mud. “This feels like home,” he muttered under his breath, taking in the freezing rain, thick fog, disgusting mud, and dreary landscape. Unsure of where he was or how he had gotten there, his first focus was on getting out of the bulky spacesuit and into something that he could move in. He bent over, parted the fabric of the headrest, and withdrew the military-grade NRS-2 Scouting knife that he had stored in the foam cushion. Sergi used the knife to gut the interior of the capsule. He had been very careful to modify the interior after it had been stored aboard the Gliese 581. He pulled out camouflage clothing, weapons, the portable oxygen tank that came standard with each pod, and a survival pack with a limited number of rations, medical supplies, and the essentials for the most dangerous covert operation. Sliding the blade along the edge of the fabric of the bedding, he retrieved his SR-1 9mm pistol along with several clips. He did the same along the bottom, removing the parts for the VSK-94 Special Purpose Silent Sniper rifle. The rifle was perfect for Urban Warfare if he needed to strike without being seen. While he had never expected to need any of the items he had stored in the capsule, his training and experience had drilled into him the necessity to be prepared for any event – including a trip into space. Within minutes, he had stripped himself of the bulky spacesuit and dressed to blend in with the environment around him. He quickly packed everything into the camouflaged grey and tan backpack, remembering at the last minute to remove the video camera that was recording his every move, and slid the straps over his shoulders. He tucked the pistol into the waistband of his pants against his lower back, making sure he could easily reach it. He reached up and closed the lid of the capsule, then turned to face the gloomy forest. He had no map of the area or knowledge of his environment, which meant that, for now, he had to classify everything as hostile. Sergi held the rifle ready as he left the shelter of the parachute and moved into the freezing downpour. His hat protected his head from the cold rain while the high-tech goggles gave him the ability to search for any heat signatures. He moved like a wraith through the woods, searching for evidence that he wasn’t alone. La’Rue Gant flipped up the visor of her welding helmet, looked at the circuit panel for a moment, then took off the helmet and turned toward the storage unit. In the background, loud music played. While it might not be the smartest thing in the world to do at the moment, La’Rue had never really cared what anyone else thought. She lived by one rule – hers. She wouldn’t be in this mess if she had listened to her head instead of her gut. Yeah, it was way messed up and should have been the other way around. Her gut was what had kept her alive this long, but this time she swore her internal warning system was fried. “You just had to listen in on a secure transmission. You should have ignored it, La’Rue. People who cross the Legion end up dead. If anyone knows that, it should be you. Then, being the really smart person that you are, you decide you need to follow one of the signals that they were talking about – to Turbinta! Who the hell lands their escape pod on a planet full of assassins? I’ll tell you who, the same kind of dumbass who lands their freighter and burns up their front shields in the process, that’s who,” she muttered. For the past two years she had been monitoring both the rebel groups and the Legion. Lifting a hand, she wiped her nose on her long sleeve. Even with the environmental system working, she could still feel the chill in the air. La’Rue shook her head and moved back to the circuit board, wrench in hand. She replaced the panel and tightened the bolts. Twirling the wrench in her hand, her lips twisted as she looked around the small but nimble freighter. It was the last of her heritage, a gift from her father. Sure, it hadn’t worked when he’d given it to her, but it did now thanks to years of hard work, more daring cargo runs than she would admit, and a few high-stakes wins at the gaming tables. Unfortunately, she might have pissed off a few of her lenders when she had turned out to be a little savvier than they’d been expecting and had actually paid them off with her winnings. Her goal was to never have to borrow credits again, and one way to do that was to earn a lot – by cashing in on what the Legion wanted. If she could find even one of the strange pods the Legion was talking about, she could live off the reward for a couple of years. She could ditch the lower end freighter runs, upgrade the Star Runner, and kiss Slate and his band of despicable, thieving pirates goodbye once and for all. Her eyes darkened with anger and determination. She wasn’t about to lose her only way of making a living because Slate had decided to put up her ship as collateral for his bad decisions. She had argued that the debt wasn’t hers, but unfortunately, Bog didn’t want to listen. Slate had used her thumb imprint to guarantee the loan. She grumbled to herself as she stowed the wrench in the storage unit, then strode through the freighter, ducking her head under a low hanging conduit. HL-9 followed her. She turned at the end of the corridor and bent to open a hatch. Pulling it back, she waited for the ladder to rise before she slid down. HL-9 gripped the ladder with four of his legs on each side, and slid down behind her. “I don’t know when I’ll be back, H. However long it takes, I guess. You have the position of the signal, right?” La’Rue asked. She glanced at the eight-legged bot before she turned and pulled open a storage compartment. “Where is the long barrel? Argh, I bet Slate took it. I have only two of the short barrels left and one of them doesn’t work,” she groaned, letting her head fall back to stare up at the ceiling in frustration. La’Rue ground her teeth together before she looked down and made a face at HL-9. Slate had a lot to answer for and she planned on making sure that he did – if she survived this crazy quest of hers. Opening the second cabinet, she pulled out the holster and the blaster that had belonged to her dad. Pursing her lips together, she swung the holster belt around her waist and tightened it. She pulled out the broken blaster and tossed it to the service bot. La’Rue pulled on the slicker, sealing it over her black pants and shirt. Her matching black boots went almost to her knees and would protect her feet. Tucking the loose strands of her red hair into the cap, she pulled the padded strap tight under her chin. She grabbed the goggles and a stun rod last. The small bot flashed its multiple eyes at her to let her know that it understood her order. La’Rue released a long, loud sigh before she stepped into the circle on the floor and reached up to press the green button on the control panel attached to one of the support brackets. Within seconds, the platform she was standing on descended under the freighter. La’Rue jumped off the round platform and landed on the soggy ground, wincing at the splat sound. She pressed the remote on her wrist cuff, scanning the area as she pulled her goggles down. There was nothing out there – she hoped. “H, show me the best path to the signal,” La’Rue softly ordered. The display inside her goggles flickered, and a second later a map appeared. Gripping the stun rod in her hand, La’Rue left the safety of her freighter and headed out into the pounding rain on a mission to find one of the mysterious pods the Legion was so interested in locating. The distinctive hum of an aircraft alerted Sergi to the fact that he wasn’t alone. He moved under the protective cover of a fallen tree trunk, and saw an alien transport soar over the trees. A curse slipped from his lips when he realized what they might be looking for – his emergency pod. There was the possibility it had been sighted or had registered on some type of radar, but more than likely the emergency beacon was emitting a signal. His gaze moved back toward the direction he had come. He was less than a kilometer from the capsule. Looking up at the sky again, he debated whether he should go back. With a muttered curse, he moved out from under the tree and retraced his steps. Less than twenty minutes later, a long line of expletives was silently slipping through Sergi’s mind as he crouched behind a thick log and studied the alien walking around his abandoned capsule, apparently scanning it with a device in his right hand. The alien was thankfully humanoid: one head, two legs, two feet, two arms and hands of typically human proportions, roughly average height, and a slender build. Sergi could see the gun in the alien’s gloved left hand, but he couldn’t see the alien’s face. The person’s head was covered with a dark brown and black hat with a wide brim. Goggles and a thick scarf covered the alien’s eyes, nose, and mouth. A long, mud-splattered coat covered the alien from neck to knees. High, black boots, coated in mud, protected both feet. Sergi quickly scanned the area, but he didn’t see an alien transport nearby. The alien stopped near the top left corner of the pod where the instrument panel and the emergency beacon were located, stashed his device in his pocket, and pulled something from a pouch at his waist. Within seconds, the alien had opened the panel and disconnected the emergency beacon. An appreciative grin curved Sergi’s lips when he saw the man expertly twirl the tool in his hand before replacing it in the pouch. Sergi intently watched as the alien raised his wrist to his covered mouth and spoke. He was too far away for him to understand what the alien was saying, but Sergi would bet the man was calling for assistance. The alien moved his hand along the top of the pod. The sound of a loud click followed by the hatch opening made him grimace. It was going to be obvious that someone had been in the capsule and escaped. He took advantage of the alien’s distraction to back away. In seconds, he had left the capsule and the alien behind him. He would move out at a rapid pace until there was enough distance between them, then worry about covering his tracks while he circled around and tried to determine where the alien had come from. Once Sergi knew a little more about where he was, he would plan a course of action. At the moment, his main concern was disappearing. One thing is for sure, he thought as he broke into a steady jog, this is going to take every ounce of my training to survive. La’Rue gripped the side of the capsule as she looked inside. A shiver ran through her, and she looked over her shoulder. There was no denying that someone had been in the capsule and whoever it had been was now gone. She reached inside and pulled out the bulky suit. There were colorful patches on the front and one arm of the suit. Slinging it over her shoulder, she decided she would take it back with her to get a closer look at them. Her gaze swept the interior. Bending forward, she ran her fingers along the ripped material. Whoever had been in here had cut up the inside pretty good. She pulled back a section and saw the indentations in the soft material underneath. Running her hand along the rips, she thoroughly checked each of them. One after another, she could tell that there had been items stored under the fabric. A wave of unease swept through her. She needed to get back to the freighter and grab one of the equipment skiffs she had on board. There was no way she could pull this thing through the woods without a heavy duty piece of equipment to help her. Looking up, she saw the silver cloth tangled in the trees above. She wouldn’t have much time to retrieve the capsule. At least one scouting transport had flown over this area. Disabling the signal the capsule had been sending out would only give her a short reprieve. She was positive there would be others looking for the thing – and whoever had been inside. She started to close the lid when a glint of silver caught her eye. She ran her hand along the seam. Her fingers tangled in a metal chain. She tugged it free and lifted the chain so she could study the metal tags. At the end of the chain were two, small rectangular metal plates with an indecipherable inscription on them. She pocketed the chain and reached up to pull the lid down. A quick glance at her wrist showed that another transport was coming. She really hoped that her freighter’s digital paint camouflaged the ship enough for it to go unnoticed, because if not, HL-9 was going to have company. The last thing La’Rue wanted was to be stuck on this shithole of a planet with only an antiquated pistol and a rodent stunner. “H, did you get the video feed I sent of the capsule?” La’Rue asked in a soft voice as she stepped away from the metal box. A single light glowed on and off several times on the communicator on her wrist. The lights were HL-9’s way of telling her that the video feed transmission had been successful. La’Rue adjusted the bulky suit on her shoulder and began her return trip to the freighter. Now, if she could just get the capsule back to her ship and get off this planet before dark, she could be on her way to kissing Slate and the debt collector goodbye once and for all. It didn’t take long for Sergi to find the tracks the alien had left. Cutting between trees, he maintained a parallel path to the tracks, and slowed his pace when he saw a break in the trees up ahead. So far, except for the alien and the spaceship that had flown overhead earlier, he hadn’t seen any signs of life. The ground varied from hard rock to slushy mud. The trees were all the same dark ash color and devoid of leaves. He didn’t know if they were alive or dead. The driving rain was just as intense as it had been when he’d left the pod an hour and a half before. The sky was a blanket of dark clouds in every direction. He wondered if it ever stopped raining in this place. The terrain was dotted with large boulders, and he had found a few places where he could create a temporary shelter if it became necessary. He wouldn’t, of course. He needed to distance himself from the capsule before he could think of seeking shelter. Sergi peered around a wet tree trunk to scan the small clearing in the trees. He frowned. Something was off. He bent his head, reached into his pocket, and pulled out a cloth to clean the water from his goggles. Replacing the cloth, he studied the area in front of him once more. The clearing looked empty, but there was a difference between what his eyes and brain were telling him and what his gut was saying. It took him a few seconds to realize what was wrong. Amidst the rain, there were mini waterfalls flowing down – from thin air. Curious, Sergi slowly squatted. His eyes widened when he saw the black underside of a spaceship. He rose to his feet, keeping his gaze trained on the spot where the water was falling. Appreciation swept through him at the cleverness of the paint. It had a reflective surface, making it almost invisible to the naked eye unless you saw something unusual – like small waterfalls flowing from out of the air. He turned when he heard footsteps in the mud behind him. Crouching down once again, he kept his eyes on the alien who had discovered his capsule. He scowled when he saw his spacesuit draped over the alien’s shoulder.